As a volunteer based organization, volunteers are very important to our operations to support cadets. You can volunteer for many roles, but you would need to be screened to participate volunteer activities directly working with youth cadets, e.g. : Driving cadets other than your own, FTX support, canteen, etc. Being screened also provide you insurance coverage from Air Cadet League Canada for your volunteer activities. We encourage parents who actively volunteering with 781 to be screened. Here are the Five Steps to apply for becoming a Screened Volunteer with the Air Cadet League of Canada. Detailed instructions for documentation on the website. Follow exactly. Drop off all of the completed forms found online, the letter and the necessary identification details to the Calgary Police Service. Details can be found here. 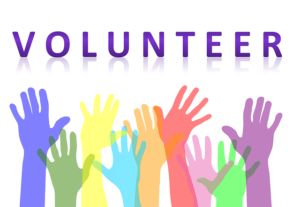 Step #2 Complete Volunteer Registration Application (documents available at our Monthly Parent Meetings) or Downloaded here. Our Advisor submits the documentation on your behalf. The card will be mailed to your address provided in the application form.